In plain-speak, OData is a protocol that works over HTTP (the same protocol on which the entire Internet, as we know it, works) and uses pre-established data exchange formats like ATOM (or JSON) to expose data in the Server. To expose the data, server needs to implement an OData endpoint, which then enables any client application, capable of making HTTP requests, to query this data. That’s of course an over-simplistic scenario as data in server is usually protected and you need to have proper Authorization to access that data. However, the moot point is having an OData endpoint to serve up data locked away in data silos, opens up the data for seamless integration with existing OData clients. What has ASP.NET Web API got to do with OData? As we saw above, OData is a protocol, and a protocol needs end points to be useful. ASP.NET Web API is becoming Microsoft’s Go-to mechanism for building modern web-services that work over HTTP. Hence it’s natural that OData endpoints on the Server side in Microsoft Stack be built over Web API. That’s precisely the relationship between OData and Web API. The OData implementation on ASP.NET builds on top of Web API. Had enough of theory and want to see it all in action? Let’s fasten our seatbelts and put our proverbial fingers where the code is! If you want to continue with theory of OData this MSDN Post is a good start. 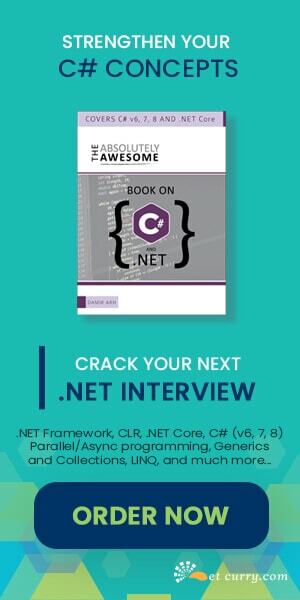 Let’s fire up Visual Studio and create a new ASP.NET MVC Project to use the Web API Template . Prerequisites: You need Visual Studio Web Tools Update 2012.2 or install the latest package (Microsoft.AspNet.WebApi.OData) from Nuget. 2. Select the default ApiController that was added by default and rename it from ValuesController to BlogController. 3. The OData controller is an implementation of ApiController, so our class BlogsController should inherit from ODataController. However we will go one step up and make it a strongly typed controller and inherit it from EntitySetController<T,K>. 4. It’s a good idea to pause and make 100% clear as to where we got the EntitySetController<TEntiy,Key> from. The following inheritance diagram should help. As we see, the EntitySetController derives from the ODataController. Note: The EntitySetController is in the System.Web.Http.OData namespace. 5. We could use a Database in the backend but for now we’ll use an in-memory store and create a Generic list of blogs (List<Blog>). That pretty much covers the EndPoint with respect to retrieving data. Now that we are done ‘building’ the endpoint, let’s go and configure it. Configuring an end-point requires us to update the App_Start\WebApiConfig.cs file. First up we instantiate the ODataConventionModelBuilder and tell it that the Blog entity will be referred to as Blogs. This is much like the EF Model Builder. Next we update the Route by passing a name, the url identifier and an instance of IEdmModel implementation retrieved from the modelBuilder. // or IQueryable<T> return type. // use the validation settings on QueryableAttribute to validate incoming queries. Our OData feed is ready and configured so let’s run the application. If you have seen simple JSON serialization by Web API, you will recognize the difference here. Here, the entire collection of returned values is wrapped in an object. This object has two attributes - ‘odata.metadata’, which is self-describing as in where the data came from (the full odata URL that is included). Second attribute is ‘value’ that has the array of JSON serialized Blog objects that were returned. 2. Next from the ‘From Other Sources’ pull down, I select ‘From OData Data Feed’ option. 4. Excel goes and pulls up all the tables it can find at the Endpoint. In our case it’s only 1. We select the Blog table and click Next. 5. Excel asks where we can save the query file and a friendly name for the Service. 7. At this point, Excel will have our data with itself. When we build a Pivot table for Authors vs. Summation of Views per author as well as number of articles written. The Pivot chart looks as follows. As we can see Excel was able to use the OData endpoint we built, to retrieve data, without knowing anything else beyond the URL of the endpoint. Today we took our first step towards implementing OData end points in ASP.NET Web API. OData is pretty involved and in future we will see more of its capabilities regarding querying and data updating! I've tried to follow your example, but when I get to External Sources the OData option is greyed out. So is the Azure one. So I can't run the wizard. Any ideas please? In this example, you are using a fix data class blog. What about dynamic data? My webapi with ODATA is used by different customers and the customers can add(in the main application) own fields and these fields belong also to the ODATA. 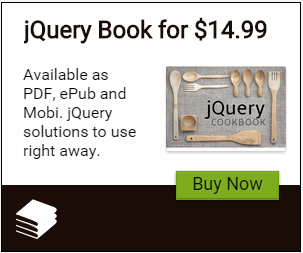 I have generated simple odata query using string builder and want to execute it runtime , how can I do so? want to execute this runtime and show result ? how to achieve this ?any clue ?